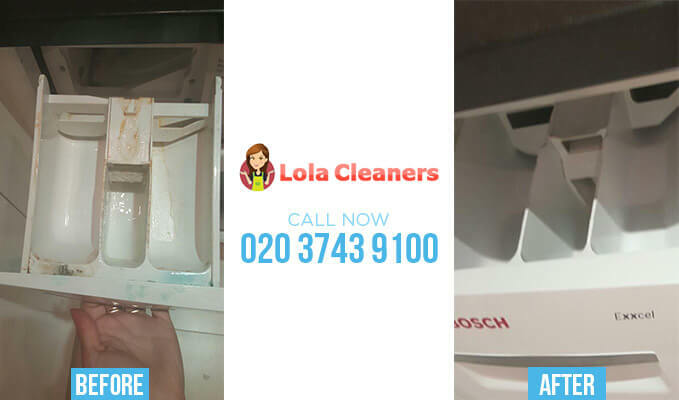 The difficulty that many people have is finding a cleaner at short notice, and the problem has a quick and easy solution – call 020 3743 9100 and speak to Lola Cleaners! Our cleaning company offers a fantastic set of talented and hardworking cleaners who can deliver fast cleaning solutions on any day of the week. The panic you may be feeling about getting your rented flat clean, tidying up after that party you had last night, or getting rid of the stain in the carpet that just won’t budge suddenly isn’t an issue when you have our cleaning contractors ready and available to help. We deliver short notice cleaning services to tenants and landlords throughout the area, and our company provides you with a range of options – we have general house and flat cleaners or specialised and intense carpet cleaning and oven cleaning operatives amongst other things. Our cleaning agency is able to give you a hardworking and very efficient cleaner for any job at all, and we don’t care how large or small it is – if you call 020 3743 9100 and give us a good idea, we’ll be able to offer you the solution you need. When you are moving out of a flat or house you’ll find that there is very limited time to get everything packed, move out and then give the place the top to bottom clean it needs before moving to a new home and the work involved can be astronomical if you’ve left any gritty jobs to the last minute, such as oven cleaning. With the best will in the world, there are only so many hours in a day and the stress of last minute cleaning on top of the stress of moving is just something you don’t need. So if you want to delegate the cleaning tasks to a professional cleaning company, talk to Lola Cleaners. We offer you the chance to call in cleaners on any week day or during weekends, and we work a very flexible shift pattern which will enable us to come to your address at early or late hours, depending on when it best suits you. 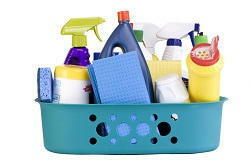 Our cleaners bring all the materials they need along with solvents, soaps, hoovers, brooms and mops. We don’t leave anything to chance and our cleaning professionals carry a trolley of cleaning items with them at all times to enable us to deal with the unexpected as well as the primary cleaning job we’ve been instructed to do. Our cleaners work intensely, using very efficient and tried and tested last minute cleaning methods to get everything as clean as it can be. We take pride in our work and if you are a tenant, you’ll take comfort in the fact that we will work hard to get your deposit back from your landlord. If on the other hand you are a landlord, we know all about the importance of getting the property looking as good and tidy as it can before your new tenants arrive. Contact us on 020 3743 9100 for a free quote. Our company can quote for any job over the telephone and our quotes include the cost of materials. We are able to give you a very cheap quote when you compare it with that of other cleaning companies and that is one of many reasons why we are so widely instructed. Our cleaning operatives are very hardworking and efficient and we can get a property cleaned to a very high standard in a very short space of time, offering you a clean break (no pun intended) within no time at all!